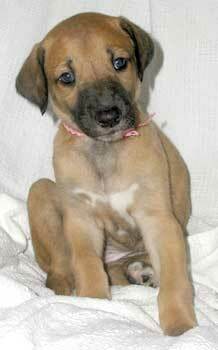 Essie is a fawn puppy born June 5, 2007 to Trixie and Zorro. She is one of GALT's Second Family. Essie is pictured to the right with her new family!